The remarkably diverse cannabis plant can induce a wide variety of effects and experiences. This makes it an ideal companion for almost any occasion, a natural enhancement for many events and activities. We’ve paired a few excellent strains with some of our favorite happenings across the legal landscape, from the Emerald City to Beantown. Seattle is one of the most beautiful cities in the US, surrounded by water, with views of both the Olympics and the Cascades. 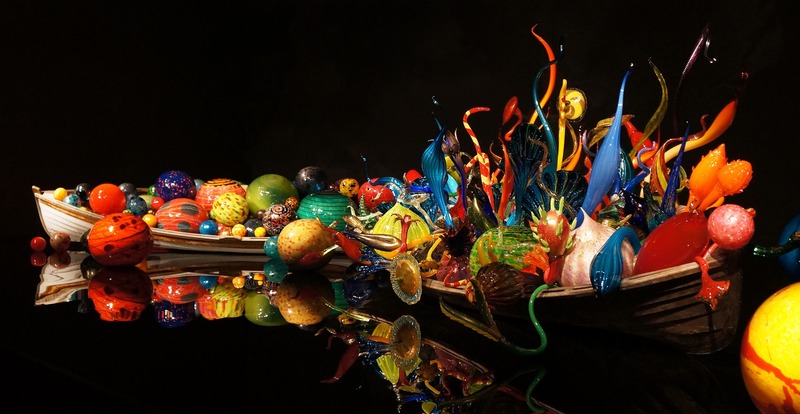 But if you’re looking for otherworldly grandeur of the manmade variety, check out Chihuly Garden and Glass, an indoor/outdoor collection from the renowned artist. For an immersive experience, try Yoga Under Glass, a unique program that draws inspiration from Chihuly’s creative vision, paired with Alice in Wonderland. Noted for its energetic and euphoric high, Alice intensifies sensory experiences with slight psychedelic undertones. Perfect for the union of introspective yoga and breathtaking art on a large scale. Cannabis is best enjoyed outdoors, and the combination has attained its perfect realization in Oregon. The state boasts topnotch cannabis retailers and gorgeous panoramas. Beloved by many, featuring miles of hiking trails and pristine mountain vistas, the Columbia River Gorge is a can’t-miss natural wonder. 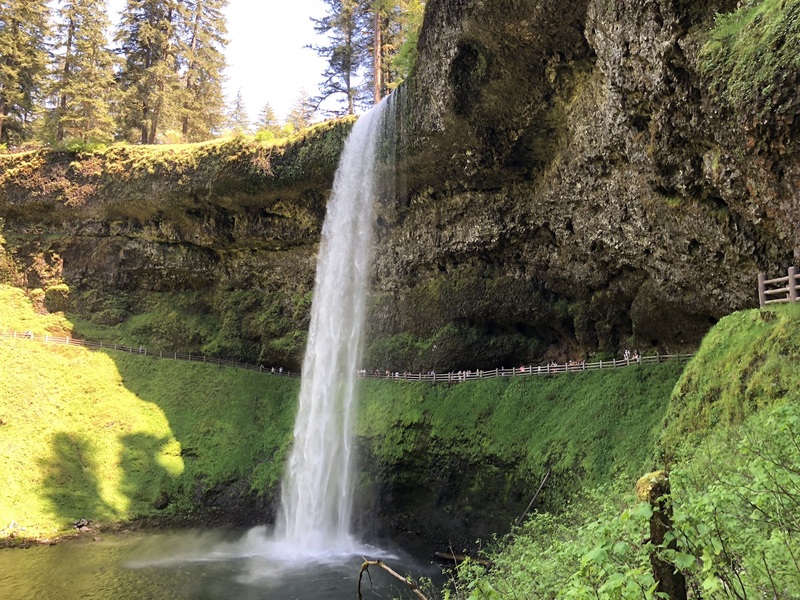 Grab some XJ-13 and head to Multnomah Falls, where you’ll likely encounter crowds on a nice day but can easily escape them for a peaceful hike. A piney, citrusy hybrid, XJ-13 will keep you fueled up for your excursion while ensuring that your feet stay solidly underneath you on the rocky terrain – and that you can find your way back. In the Bay Area, food is serious business. And because cannabis makes every meal magical, it’s the perfect accompaniment for a culinary tour through Berkeley’s Gourmet Ghetto. Home to such legendary establishments as Alice Waters’ Chez Panisse and the original Peet’s Coffee, the North Shattuck neighborhood was the birthplace of the farm-to-table movement and still offers tasty and innovative delicacies crafted from local ingredients. Puff on some Ghost Train Haze before you set out on your mission for perfect California cuisine. This strain will stimulate your appetite while relaxing your mind, allowing you to savor all the delicious flavors you encounter. When you’ve had your fill of the Denver cityscape but you still have plenty of buds to burn, it’s time for a trek to Red Rocks. The naturally formed rock structures create a spectacular open-air amphitheater that hosts concerts of all varieties throughout the spring, summer, and fall. Whether you’ve got tickets for A Tribe Called Quest, Thievery Corporation, or the Jerry Garcia 75th Birthday Concert, you’re going to want to bring along some Golden Goat. Ideal for social situations, its Island Sweet Skunk roots and Hawaiian sativa zip combine to produce the perfect dancing partner. Golden Goat’s energy boost will keep you boogying all night long. A summertime visit to Boston is not complete without a stop at historic Fenway Park. And now that Massachusetts is a legal state, those Red Sox games are going to be a lot more fun. It’s no secret that baseball is a slow sport, so a mellow indica like Black Cherry OG is best. The atmosphere in Fenway is always abuzz with the sights, sounds, and aromas of America’s pastime, and the Black Cherry will help you take it all in without feeling overwhelmed. Plus, its mood enhancing properties make it highly unlikely you’ll care much about the outcome of the game. Wherever you are, sometimes you just want to stay in. For those nights when you’re ready to get cozy on the couch for a Netflix marathon, curl up with a treasured book, or indulge in an at-home spa treatment, Tahoe OG Kush is the way to go. Packing a powerful body high with an introspective edge, this strain will help you settle into your tranquil evening without the least hint of FOMO. It’s also likely that the Tahoe OG will induce an amazing night’s sleep, preparing you for more strain adventures in the morning.